The Ship Model Forum • View topic - A ship spotter set- I have questions! A ship spotter set- I have questions! 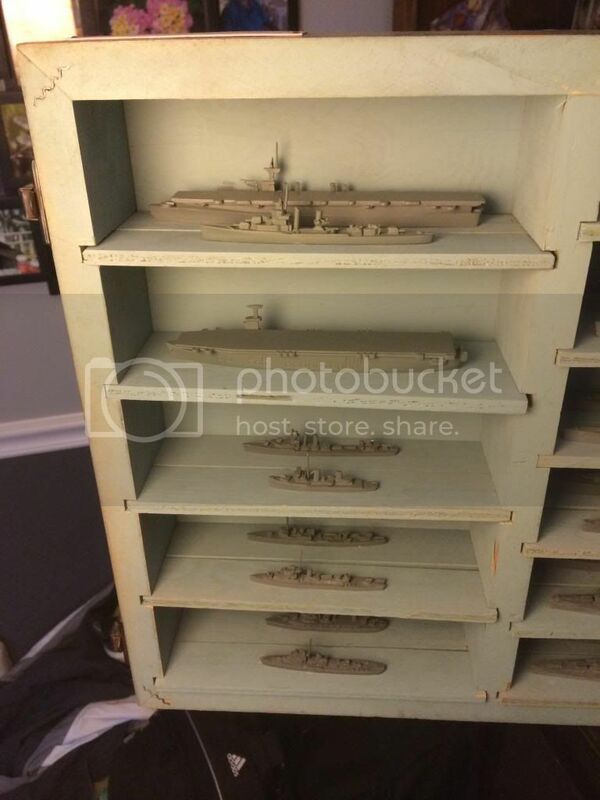 Post subject: A ship spotter set- I have questions! I recently got a grail item- a 1943 US ship recognition set. It's very nearly complete and the ships are in incredible shape. I've searched high and low on the internet. 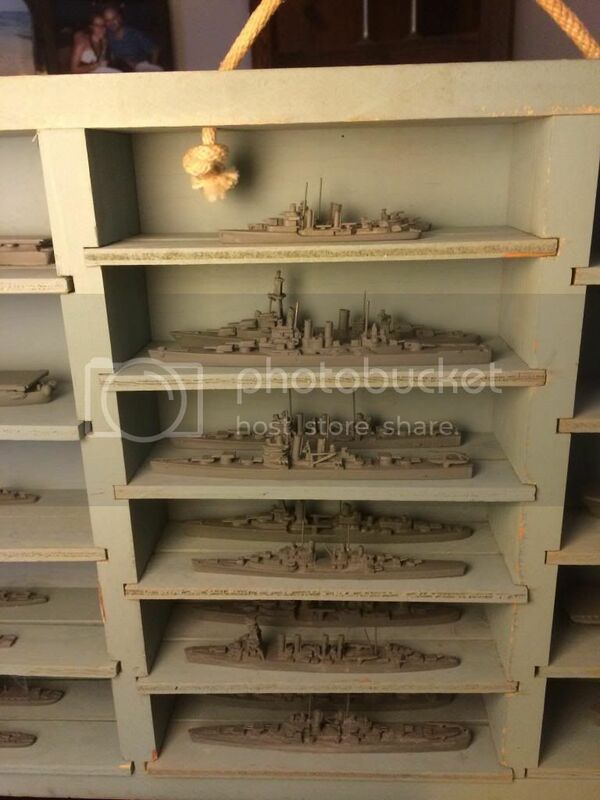 I'm guessing I just have to wait for the missing and damaged ships to come up on eBay? The Somers Class is missing. Colorado and Arkansas are missing their superstructures. It's odd that those two are damaged- there isn't as much as a mast or gun barrel missing on any of the rest. Any advice on sourcing these would be greatly appreciated. This set is staying with me- I don't intend to sell. With that in mind, is there any downside to doing some light restoration work? I'd also like to remove the tape, though I believe it's original. Any opinions on paint? Should I leave the tape? 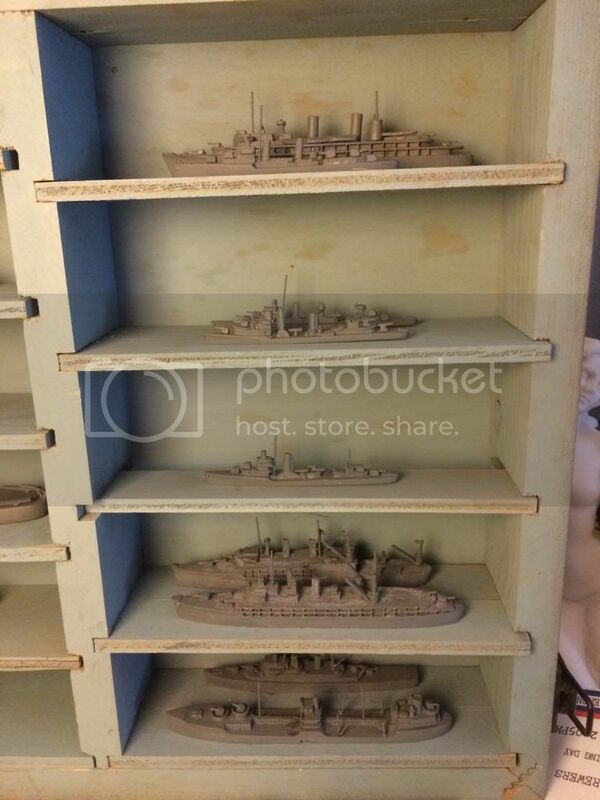 Post subject: Re: A ship spotter set- I have questions! How does it look like they're made? 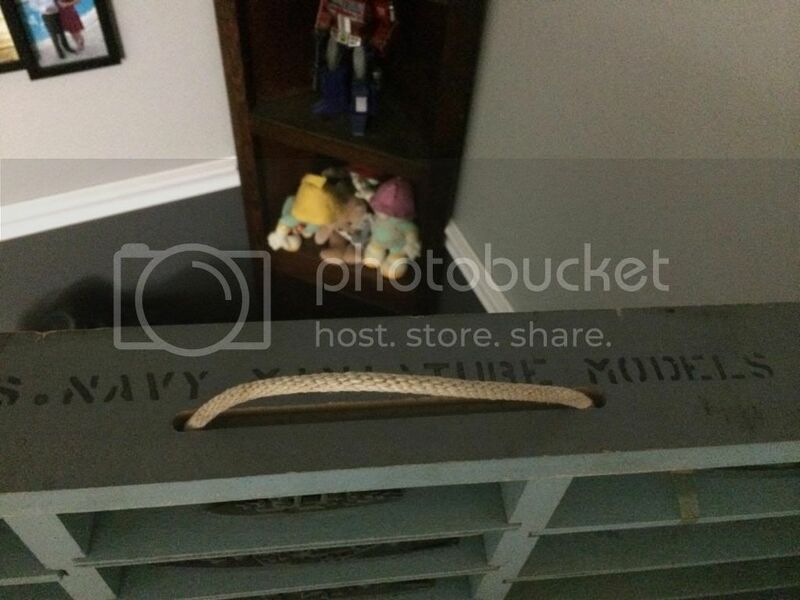 Painted wood, castings, metal, what? Love how the BB-61 and CA-68 have amidships boat cranes You can tell when they made these or at least the plans the they used. Speaking of that, is that one plaque the only identifying mark on the whole thing? I've seen a few sets, but rarely in such great shape (other than those two damn BBs). The ships are fairly well documented and known. This set was cast by South Salem and Comet. Each ship has its own identification on the underside with the manufacturer. 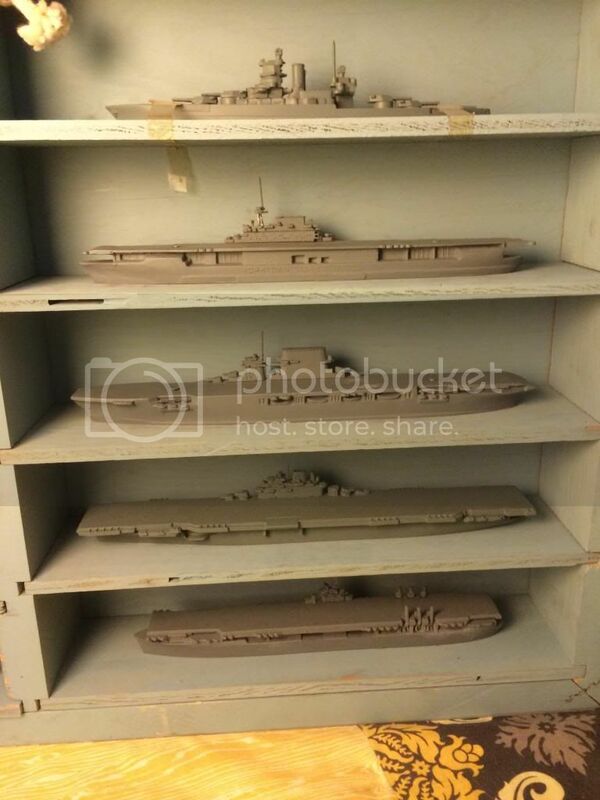 The later sets were smaller in number of ships but better detailed. I'd love to complete this one so I can move on to the next! 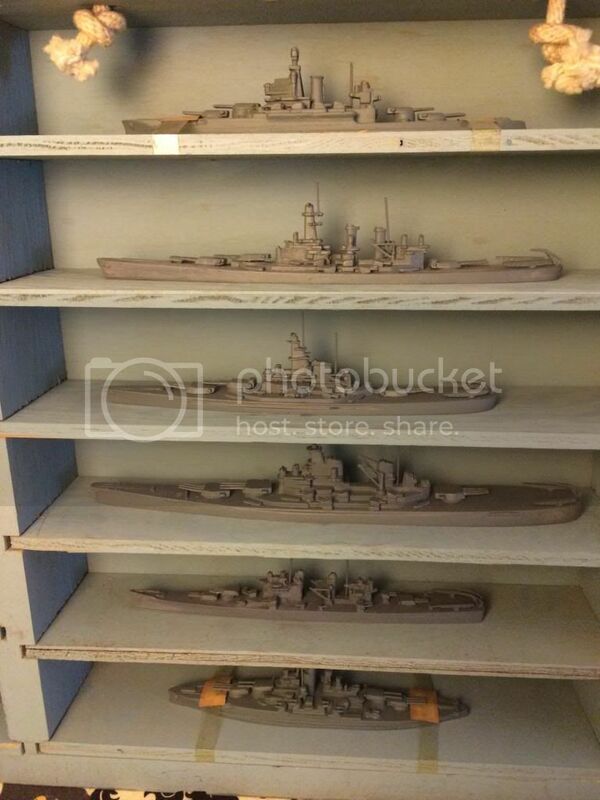 I am new to these forums but perhaps can help as I have collected 1/1200 ships since the late 1950's. 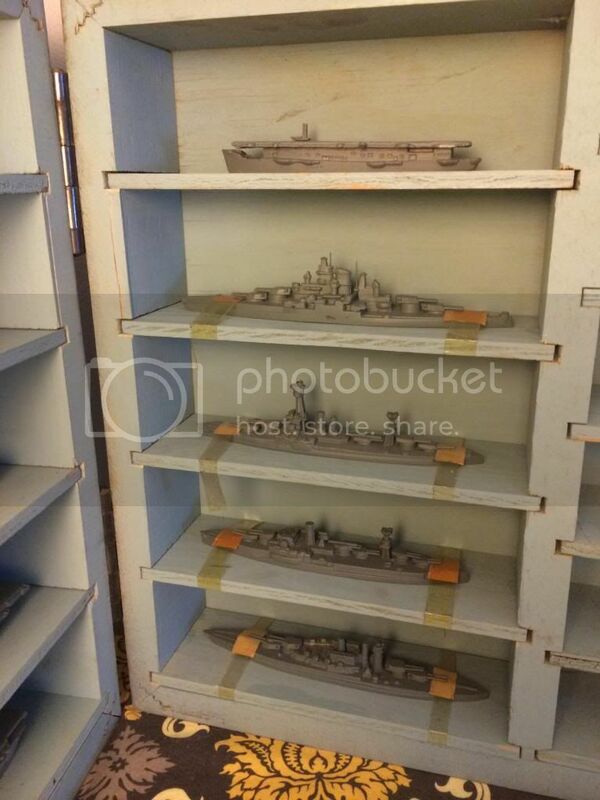 That is a great set of ships and despite my long history of collecting have never seen one that large before. Great find. 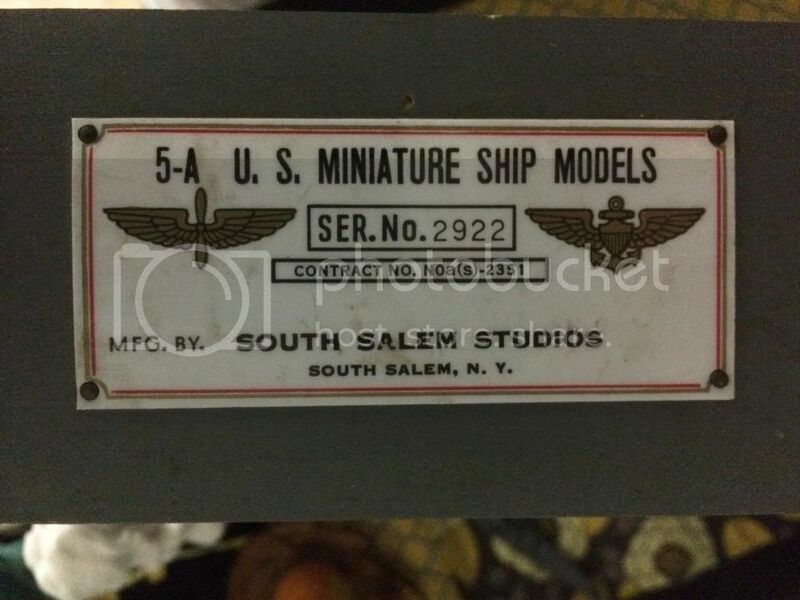 South Salem models are rather rare. You can find them on eBay once in a while. Slightly more common are models by Comet/Authenticast. The C/A line includes quite a few models that look to be the same as the SS models. C/A was in business for some time after SS shut down their operation. If you watch eBay for both you may be able to find a match to your damaged models. The Somers comes up fairly often. Reproductions of the C/A line are available from ALNAVCO. Their inventory can be quite spotty and they have added detail (AAA primarily) to the models which makes them easily identifiable as "NOT" originals. Having said that, the basic ships are the same and you might consider buying them to cannibalize the superstructures. Good luck in your hunt. I suspect we may be bidding against one and other on eBay from time to time. Thanks for the reply, Al. The set is now complete and perfect. Not so much as a gun barrel or mast missing. I was under the impression that the Superior line from Alnavco was a continuous line of modification of the original Comet/Authenticast models. Based on what I've seen now side by side, they're either not from the same lineage or they're so heavily modified as to be completely incompatible at this point. 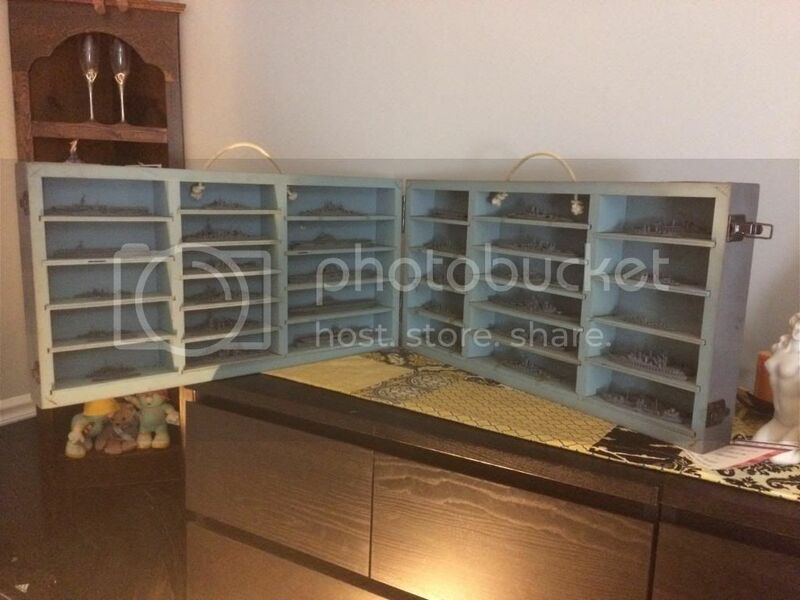 I've started purchasing Superior models to make a modern version of this set with a similar case, painted a uniform grey just like the originals. It's a long-term project that i may never finish, but even the few models I've done show that Superior and Comet really diverged. The Authenticast models sold post war are obviously from the same molds, but the modifications have begun. I found that the Somers model has an additional life raft, for example, compared to an original. It'll take an eagle eye to spot it, but at this point I feel like I'm discerning enough to even make out the Comet/SS models from their post-war Authenticast "children." Whelp, here's a photoshoot of the complete set. I coupled the models with a recognition manual (slightly earlier release as it's missing the Iowa, Cleveland, and Baltimore classes) and recognition flash cards. Nice collection, thank you for sharing. There were 4 major makers of US Recognition models during the war. Bessarabis was first, and also went shortly out of business. Their models were wrapped in paper in boxes and rarely survived very well. Next was South Salem, Comet and Framburg (the lamp maker). One of the conditions for contractors is they were paid on a "cost plus" basis, so models tended to have many cast parts and more assembly to increase costs. South Salem went out about midwar, and Comet became the major maker, with Framburg second. After the War, Comet continued selling and adopted the name Authenticast, while Framburg dropped the line and went back to their Pre-War avocation of lamp making. Superior started out as a caster for Comet/Authenticast, and eventually bought out the company in the 1960's. Superior also cast some Framburg models, as some were considered a little better detailed than Comets, and has also cast some South Salem. In the commercial world, it was considered better to reduce cost of manufacture, so most small parts were cast in one piece hulls. In the 1970's, Superior started upgrading their models, making some completly new, and started casting seperate small parts (they only came in kit form by then). Later the seperate parts started to go away again, to cut costs (1990's?). This is a breif synopsis, you can get more information through sites like the 1250 Scale Message Board, which has some pretty authorative collectors.